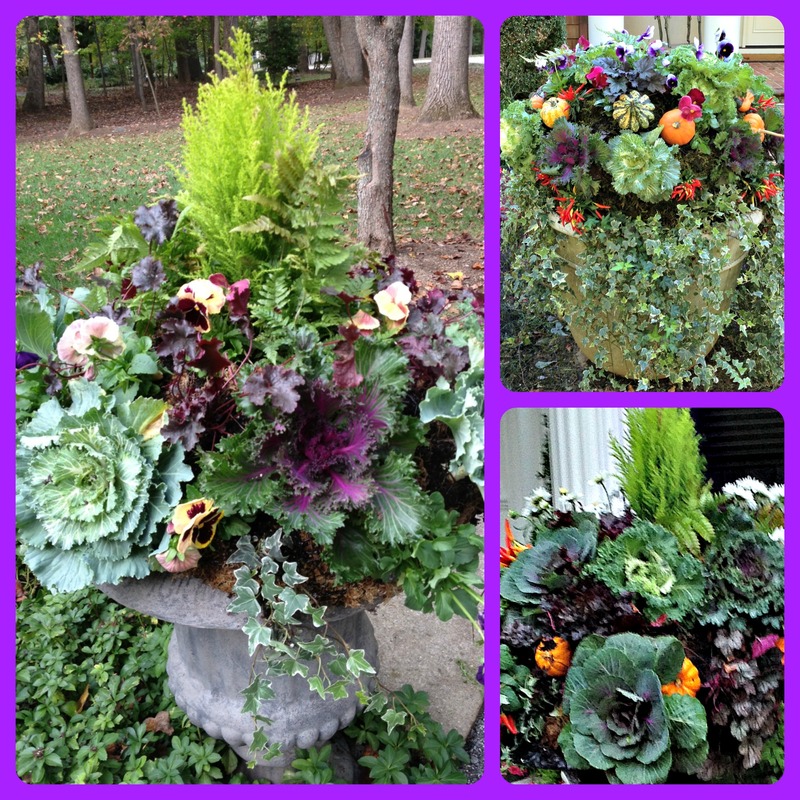 Fall is probably my favorite season for creating great container combos. 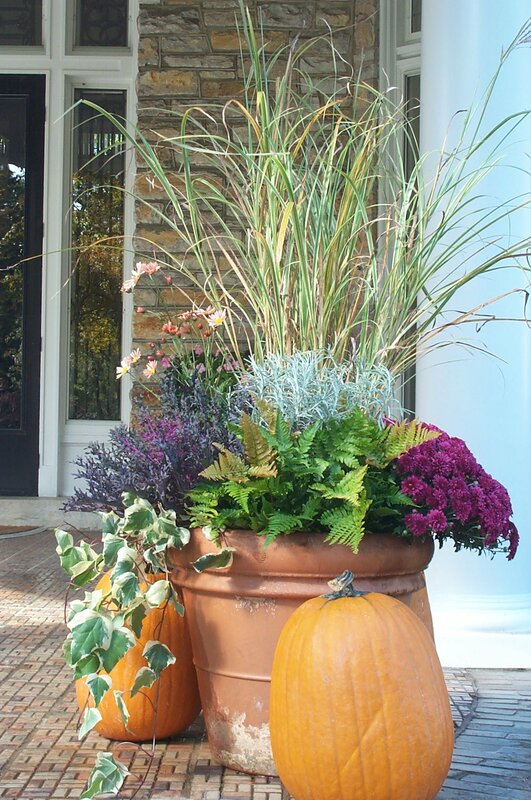 I love the colors, richer and more textural than spring containers, and enjoy pulling in some fun accessories such as gourds, pumpkins, grasses, and curly willow. 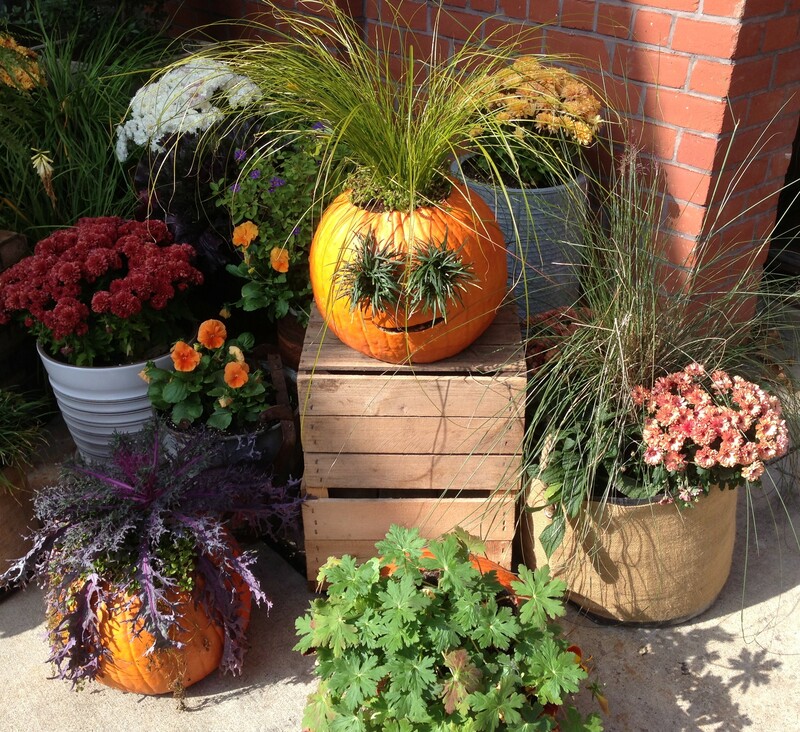 Go to the garden center in October and November, and shrubs are there for the taking at give away prices. Shrubs are a great starting point for an all season container. When I put a fall combination together, I tend to work with “blocks” of solid colors, like the mum, or green autumn fern above. 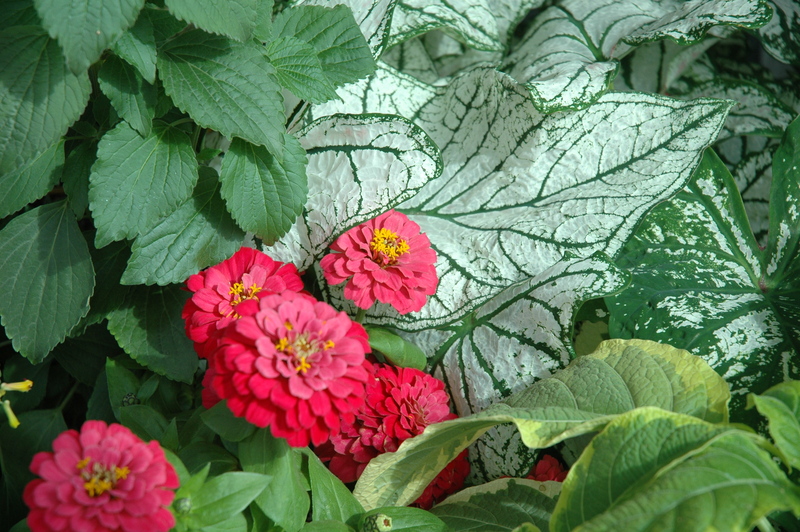 Using perennials such as ferns, ivy, grasses, mums, coral bells, bergenia, violas, lamium, etc., means that I can have a long-lasting container or all season arrangement that will have a new life in the spring. When the weather warms up after a long winter, I simply pull out the dead annual plants, groom the perennials that are left, and add a blooming annual to spruce the entire container up with little fuss or cost. Bergenia with its large leaves has burgundy highlights in the Winter. Lamium is hanging down the side and ‘Southern Comfort’ Heuchera is on the right. The all season container above looked like this in January. 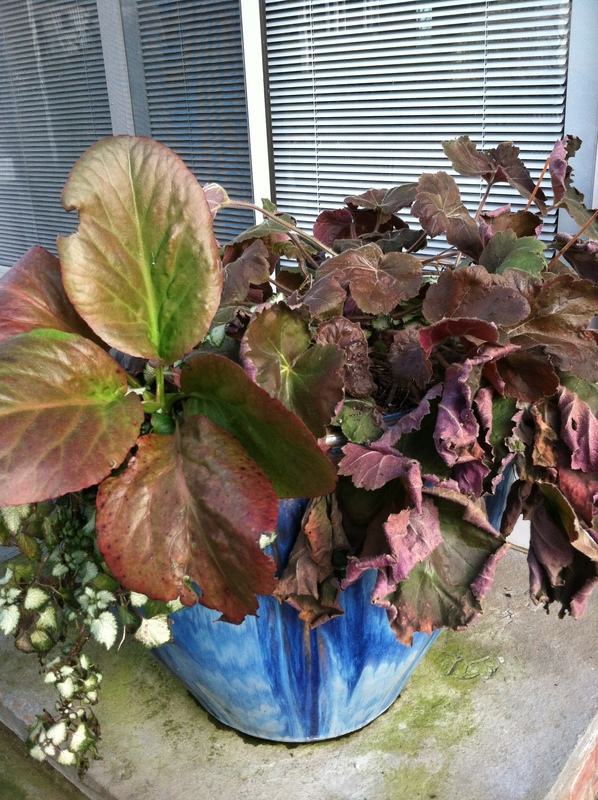 The Heuchera was a little wilted, but it remarkably stands up to all weather as well as the Bergenia and Lamium. The bonus is that the Bergenia turns a wonderful russet color in the cold weather. 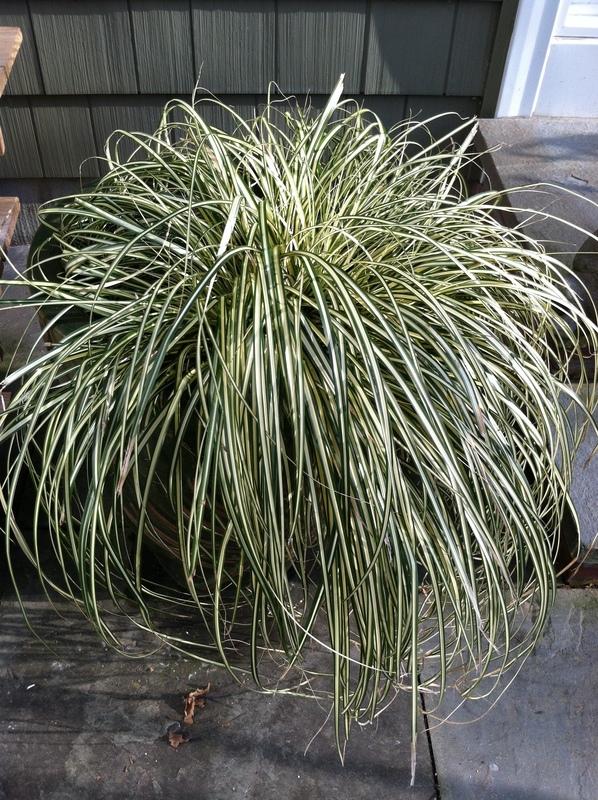 Carex is also one of my go-to plants for winter. In the spring, I plant Caladiums to give a punch of color in this container with the Carex, and it sits in full shade with little care. 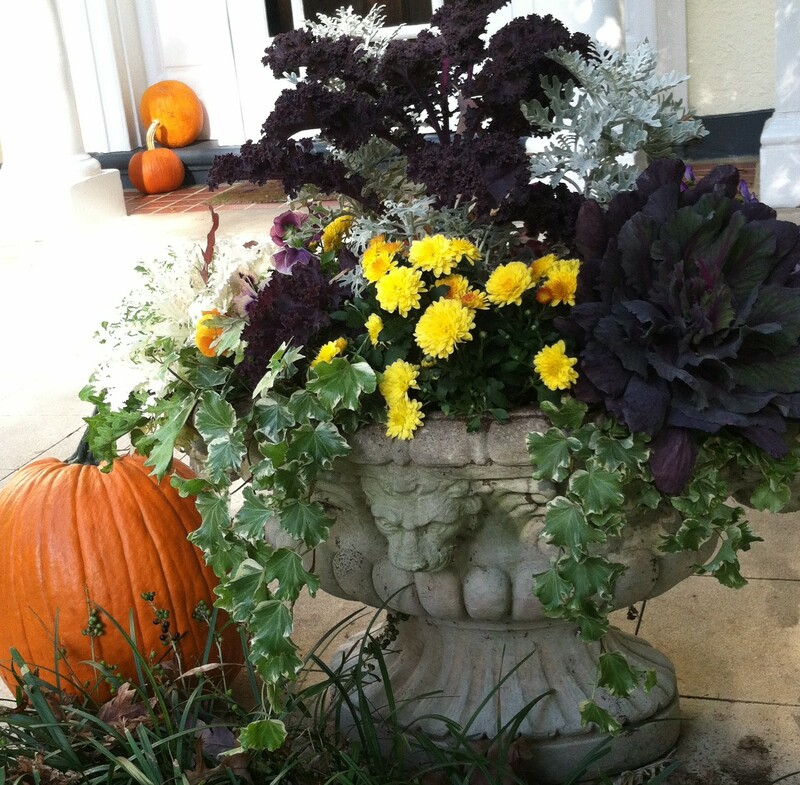 Fall containers depend on some work horses – namely grasses, cabbages, evergreens, heucheras, euphorbias, ferns, pansies, dusty miller, and mums. I feel that by designing and planting a good all season container in the fall, I am setting the stage for next year’s plantings, which saves me a lot of work and cost in the busy spring season. Most of the plants I have mentioned are foliage plants. 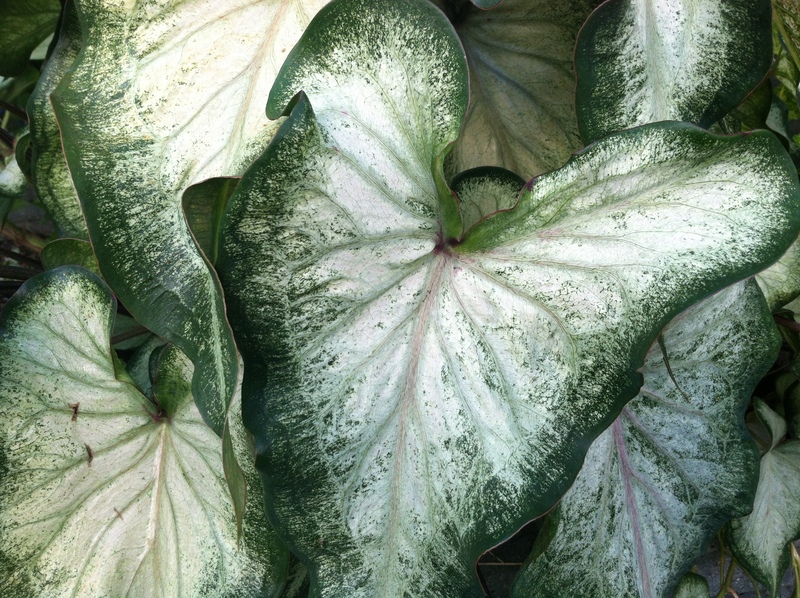 The selling point for me when choosing a plant, is the beauty and lasting power of the foliage. Budget conscious consumers are picking up on this and investing in beautiful foliage plants, and not concentrating on just the flowers. Flowers are fleeting, foliage is long-lasting. Beautiful creations, Claire! I love the caladiums! 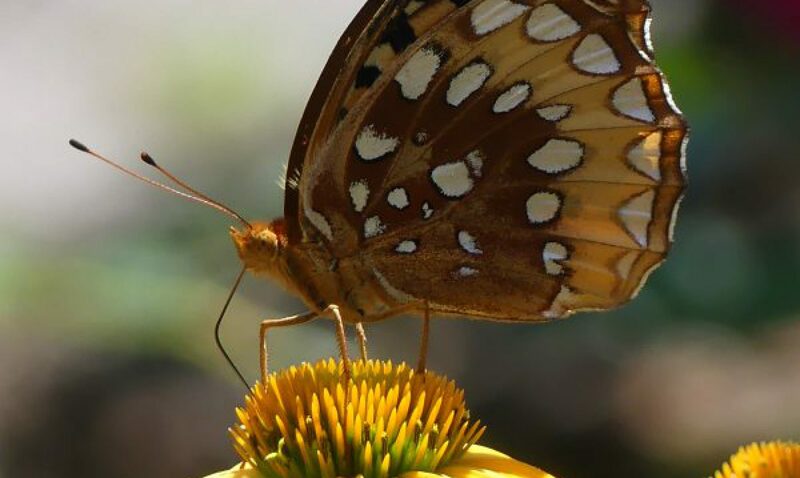 Thanks, I took that picture at the Atlanta Botanical gardens. I didn’t know you could grow kale and cabbage with those vines, etc in containers. Learned something new. Thanks. I love container planting. Plan to do more after my last move. Put anything in a container, if it grows or even if it doesn’t, like gourds, and pumpkins, and pods. I do my Xmas containers from just cut branches stuck into the soil. New is good! You get to see and do everything in different ways than us more experienced gardeners. I learn lots of things from newbies. Last year I discovered container gardening and I love it. There are fantastic ideas for the fall. The containers can be moved from your patio to your porch and even into the mudroom on chilly days. My container gardens have been my greatest successes! 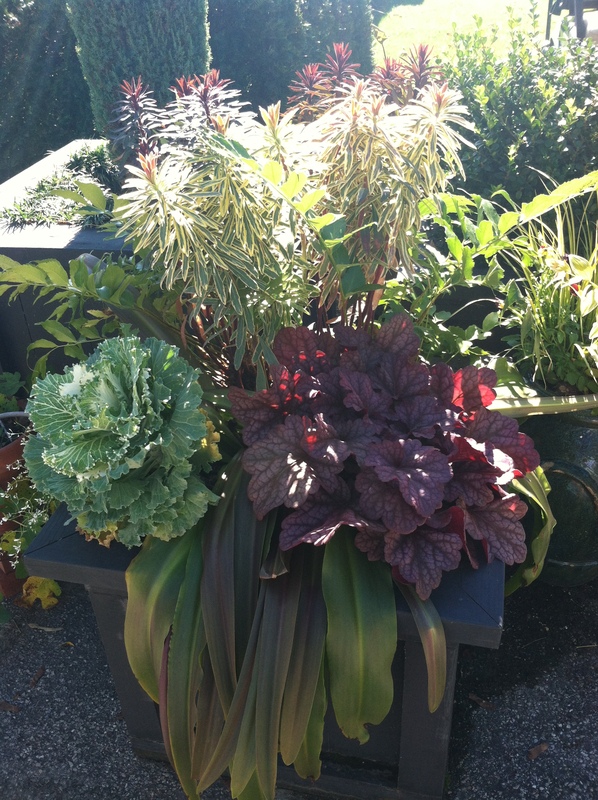 I do love container gardening also. I am thinking about doing a book on the subject. I find that the books on container gardening aren’t easy to use and don’t have the ideas that I would like to incorporate.